Browse Heating and Cooling Contractors in San Jose, CA. 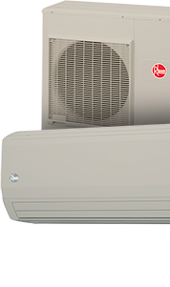 When your air conditioner or furnace breaks you need a trustworthy, licensed, expert HVAC contractor at your side, and in San Jose, CA Rheem has a full directory of independent contractors that can get your heat or air conditioning back online in no time. Browse our entire list of the best San Jose, CA HVAC contractors below, and if you want to find more click here to use our handy Find a Pro tool. *Not every independent pro listed may offer all the services listed above. Please consult the pro for an actual list of services they provide. There may be savings in your area. You may be eligible to save money through rebates and incentives in the your area. Please standby as we redirect you to a 3rd party website.